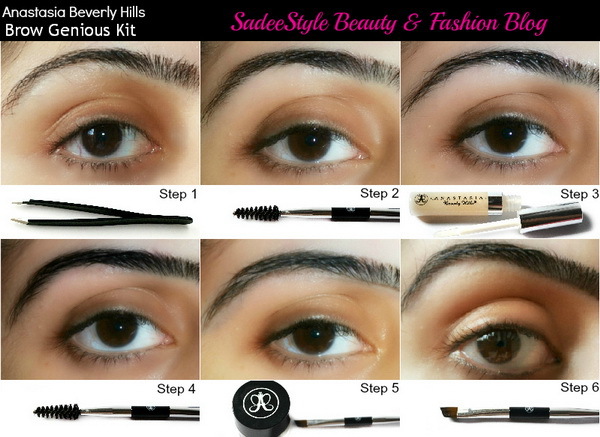 How to shape eyebrow with Anastasia Brow Genius Kit? How important is eyebrow shaping to you? For me it's a very important because eyebrows are like the frame of the whole face plus well groomed eyebrows enhance the eyes and are the finishing touch to the daily makeup routine. As I have well shaped thick eye brows, but have some empty spaces in between. I have been very lazy to fix them that really bothers me and effect my eye look they could probably do well with being shaped. 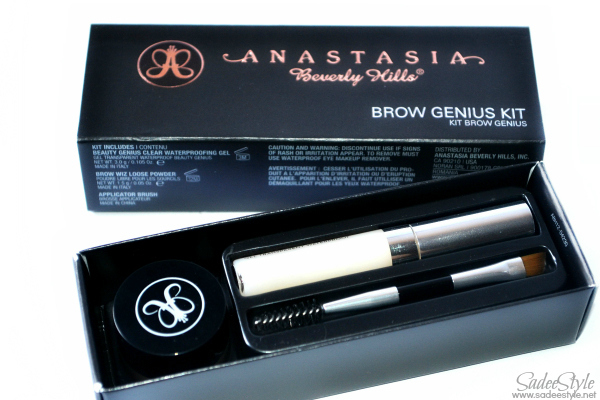 Anastasia released their Brow genius kit. I instantly fell in love genius kit when I saw it on their official facebook. I just wanted to give it a try. I tried some matte eyebrow palettes before to fixing and shaping the eyebrows, but it did not turn out good. Since I am having a curly eyebrow hair when I was born my brows were very thick I started getting them waxed though these are in shape now, but still some empty space exist. This Genius kit comes up with three wonderful product. Get long-wearing waterproof brows by mixing a pinch of BROW WIZ LOOSE POWDER with BEAUTY GENIUS: waterproofing gel. Swipe the brow brush along one side of the Beauty Genius applicator to collect the clear waterproofing gel. Mix: Beauty Genius and Brow Wiz Loose Powder together to form a paste. Anastasia prefers the mixed paste to look like cake frosting – not too watery or too firm. Fix: by using the brush to fill in your brows. The waterproof formula dries quickly, so we suggest cleaning the brush with waterproof eye makeup remover when finished. 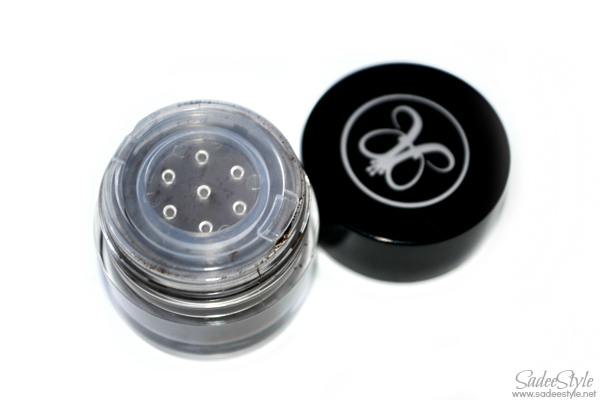 Tip: Beauty Genius can be used to waterproof any loose powder eyeliner or eye shadow formula. Do not apply to pressed powder directly as it coats the area applied, sealing it from further use. Smudge-free brows are always on trend. Get natural-looking, beautifully bold brows in two easy steps. Beauty Genius Clear Waterproofing Gel, a specialty waterproof sealer, and Brow Wiz Loose Powder can be mixed to create perfect waterproof brow color that lasts and lasts. Custom create anything from a subtle brow tint to a bold, dramatic brow filler that stays put all day and night. When brushing done, Use a gel over it until they get smooth and set the hair in place. Gel will help to make hair perfectly straight and in shape. 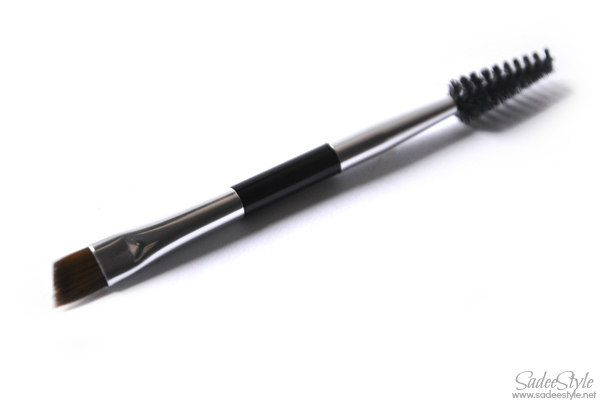 Now dip a brush from angel brush side into loose powder and draw a line over the eyebrows. Finally dip a arch brush into loose powder jar again and fill empty spaces and gaps . Remember when you will add a gel into the brows it wont dried up and transform the loose powder into paste. Honestly, I was super excited when I got it and was highly impressed with the sleek packaging, can be compared with any high end brand not just I'm impressed with the packaging, but also amazed with the quality of the products. This one probably my first review of any eyebrow kit and fortunately turned out great on me. This is the first time I am doing my eyebrows fixed with makeup and what I believe that I am quite successful. I was guessing that using loose powder on eyebrow would be a messy application, but I was proved wrong because when I used a loose powder over gel it transformed into paste and made a perfect application. While application loose powder glided on the brows smoothly without creating patchy look. 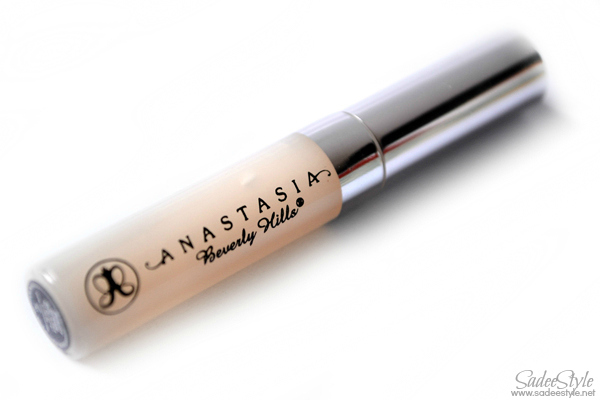 I also like the right consistency of the gel and wonderfully its not sticky or thick and do not feel heavy on brows. Anastasia Beverly Hills Brow Genius Kit really does do exactly what it claims. The instruction comes with the packaging is quite different, but I used it my own certain ways. Loose powder is super easy to work with. Travel friendly, can keep it easily in a purse. The colour is perfect for eyebrows. It last all day long without any smudging or fading. I'm highly impressed and would recommend it. 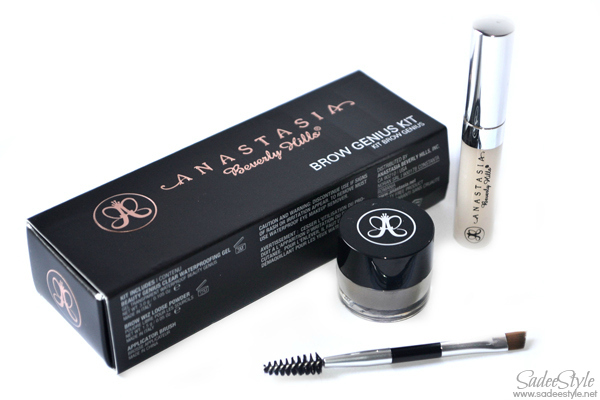 Awesome brow kit. Groomed brow are so important to me because they frame my face and my eye makeup always looks so much better with nice brows. Great post. Loving the whole stuff. Really nice my dear! :) Love Anastasia products. They have great packs for beauty. This one is a genius!